By now everyone has heard of the Jonas Brothers and the release of their new album A Little Bit Longer. This album was released on August 12, and is a tribute to Nicholas Jonas, their guitarist/vocalist who was diagnosed with diabetes in 2005. (It was released to the media in 2006.) One of the songs is titled "A Little Bit Longer", written by Nicholas. It is basically saying that everyone tells him they know what he's going through, but no one really knows but him. He is trying to help people understand and relate to him by using this song. 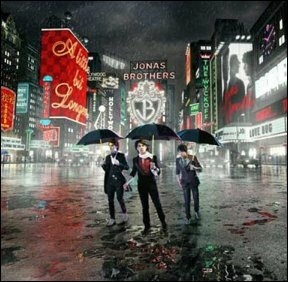 Aside from "A Little Bit Longer", another song made popular by MTV's TRL is a song called "Burning Up", written be Nicholas "Nick", Paul "Kevin", and Joseph "Joe" Jonas. It has inspired their tour, also titled "Burning Up". The Jonas Brothers are young musicians who have helped everyone discover that no matter how old you are, how you look, or where you are from you will always have a chance to fulfill your dreams. After all, they were discovered at a hair salon. This album is giving young aspiring musicians like myself a message that no matter what happens or what we are going through we can overcome it and make it happen. This album is truly fantastic. It doesn't matter what age you are. You will be able to enjoy this album because the Jonas Brothers sing and write about subjects anyone can relate to, and that is why they are the hottest band out there right now. This album is set to go gold by January 2009. I would fully recommend it to anyone who needs a little bit of hope or who just loves music.